When I first applied for these tickets last year, it was mainly because I had a feeling this would be Kaotan’s final handshake event in the Kanto region. I purchased one ticket each for Tani and Yuzuki, and two for Kaotan at the end of the evening. 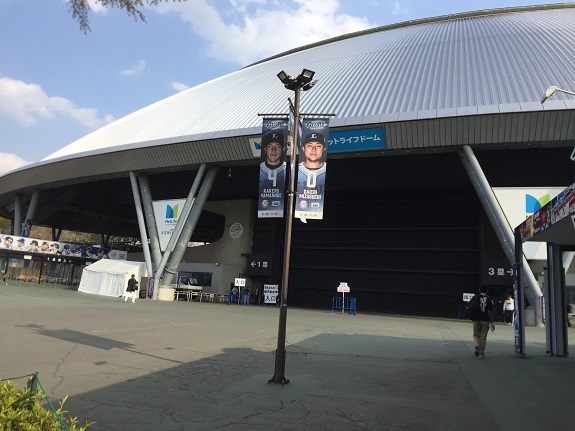 However at one point I thought it was silly to travel all the way out to Tokorozawa just for four tickets. So since the Mu-mo ticket website was still live for the event, I purchased three more tickets for members I wanted to meet. I would’ve purchased more Kaotan tickets, but when it became apparent this would probably be her last event, all of her slots quickly sold out. At least I had my two. 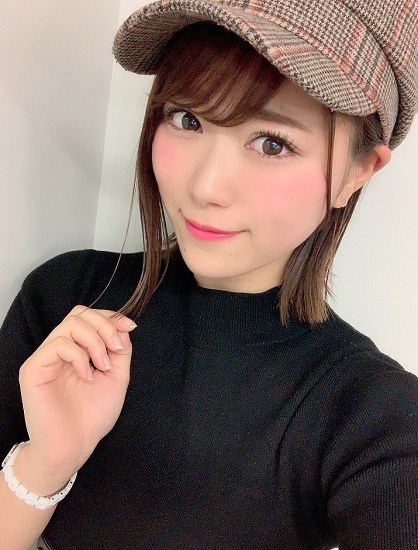 It should be noted that recently Wasamin announced that she would be doing mini-lives around Kanto this weekend as well. 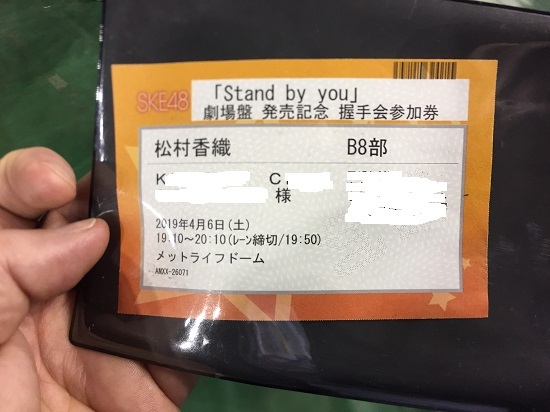 I checked her schedule, and the live that conflicted with the SKE event was way out in Kanagawa, at some mall you have to take a combination of trains, buses, and possibly even a taxi to reach, so I was not sorry to miss it. Her Sunday event is much easier to get to, not far from Met Life Dome. Jeez, I should’ve found a nearby hotel! Sato Kaho (Lane 8) Ya know, my interactions with Kaho are similar to when I have met with Obata Yuna. She’s sweet, cute, and a bit flirtatious. This is the third time I have met her. I’d like to say she remembers me, but to be honest she never really says too much. By the same token, I never have too much to say to her either. While I was in line a bee landed on the shoulder of the guy queued up in front of me. At first I didn’t say anything in the hopes it would fly away on its own, but it just sat there. As we got close to the front I finally said something to him, and then flicked it off. Everybody in queue was like “Oh yeah, get that out of here.” I said that I didn’t want it to scare Kaho-chan. Anyway, when it was my turn I opened with my fall-back line “Did you just get your hair done? It looks really nice!” There’s always a good chance the members have been to the hairdresser lately, and she confirmed that she had gone. I also mentioned that I love her smile, and she countered that she like my smile too. That’s nice. 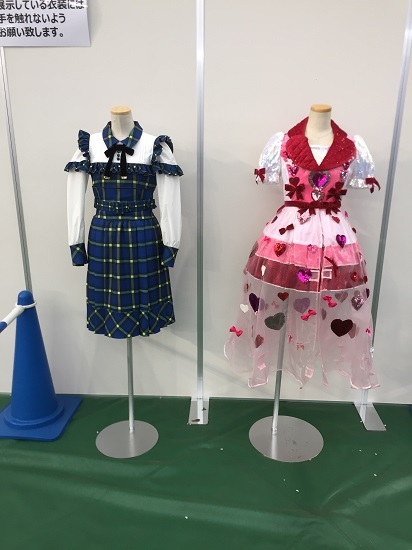 The one on the left is from a “Stand By You” performance. The one on the right is from Obata Yuna’s solocon. So one of the odd things SKE does with their handshake events is the “A” and “B” slots, which run on completely different time schedules. The first 8 lanes run on the “A” schedule, and are 90 minutes long. These are usually the lanes of the most popular members. The remaining lanes run on the “B” schedule, one hour per slot. Sometimes it can be a little confusing when your are trying to strategize your ticket schedule. Luckily for me almost all the tickets I bought were on the “B” schedule. Nojima Kano (Lane 12) I was trying to decide which lane to visit next, usually opting for the shorter queue. However, both queues were relatively short, so I went with Kanochan first since I knew exactly what I wanted to talk with her about. As I entered the queue I noticed she was right next to Kaotan. I was hoping to catch Kataon’s glance, but she was concentrating on the people in her queue. Anyway, I bought this ticket right on the heels of Kanochan winning the AKB48 singing contest. 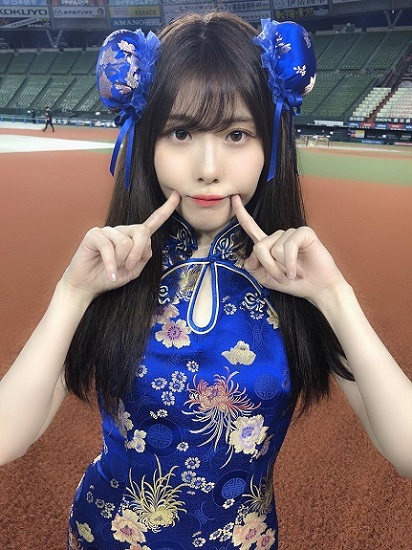 Moreover, I had a couple of really nice interactions with her at the last SKE Zenkoku event I attended, so I felt I had forged a little bit of a connection with her. So when it was my turn I immediately started in with my little speech. I congratulated her on the win, and told her I watched all of her performances. I then went on to say that I am a Wasamin fan, and as such I am always a fan of good singers. She seemed to just be listening to me the entire time, but the moment I said that I am a fan of good singers, she lit up, smiled, and thanked me. So at the end of the day it was totally worth it. 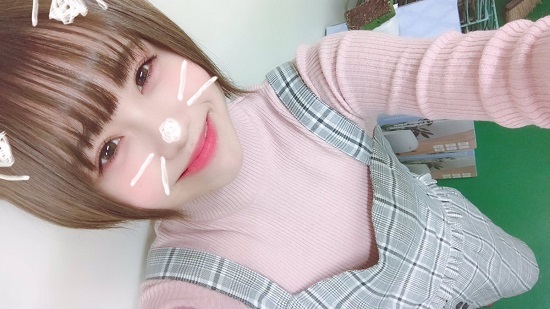 Yamauchi Suzuran (Lane 22) It’s funny, Ranran has been a member for a long time, but I only started going to see her recently. Not to mention one of my best friends is a Ranran fan, and has always told me she is a great handshake experience. The couple of times I have met her, her queue was virtually empty. Thankfully this wasn’t the case today, and she had a bit of a line when I made it over there. Not long, but not empty either. The moment I entered the booth Ranran immediately grabbed hold of my Kaotan ticket holder. 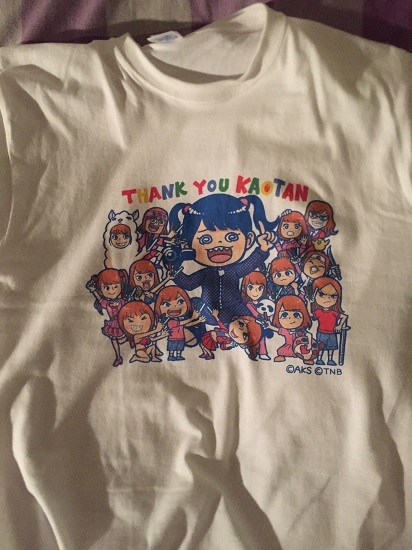 “You are a Kaotan fan?!? !” This was just as I was complimenting her hat. What I really wanted to ask her about was the next Horipro Matsuri. I went to the one last Spring and had a great time, but I missed the last one in December since I thought I would be out of town. In any case, Ranran got really excited and told me that the next one will be sometime in July. Moreover, she said she hoped I will come. As my friend always said, she was really charming, sweet, and she was so happy to tell me about the show. I need to make her a regular in my handshake rotation! Hidaka Yuzuki (Lane 16) After a brief break outside the venue I headed back in for my two tickets in this slot. 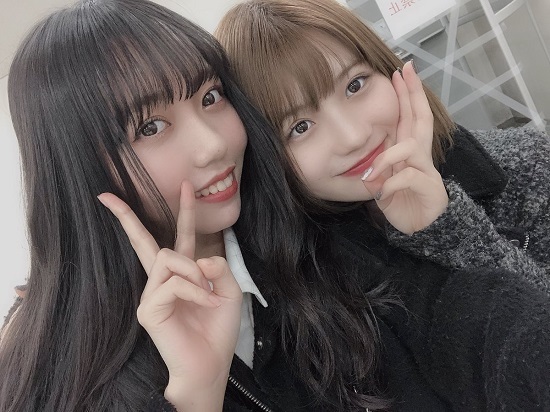 But Yuzuki and Tani were in neighboring lanes, so I decided I would see Yuzuki first, then if Tani took umbrage with me being in another lane, I would come into her lane afterwards to smooth things over. The thing about Yuzuki, as much as I like her, I always struggle with what to talk to her about. It isn’t like the early days when she was younger and would get excited from my mere presence. My fall-back for Yuzuki is to talk about the Chunichi Dragons, but they are off to a mediocre start this season. I had nothing else, so I went with it. Hey Yuzuki, how are your Dragons doing? She was like “Well, Uhh, meh, but they will get better!” I asked if she knew they were also in Tokyo this weekend, but she acted like she wasn’t following that closely. In the meantime, the guard announced my time was up and literally shoved me into the wall. WTF???? I think he realized he overdid it though, since he seemed somewhat apologetic as I slammed into the wall. At least he relieved me from having to come up with any more conversation. Tani was not wearing this in the lane. I missed out! However, this was a really good handshake for a number of reasons. 1) She noticed I haven’t been seeing her as much, 2) It bummed her out, and 3) she initiated the entire conversation. So one might say that she really redeemed our connection. I had contended that she had seemed somewhat withdrawn when I had met with her recently, but this time she completely engaged me, and on a somewhat personal level. This is what I look for with the members I regularly see, so I am glad we had that moment. I would be taking an extended break from this point until my last two tickets. I decided to go upstairs into the seating area and observe the even from the stands. I was also watching the people playing the “pitching” game in the bullpen. It’s interesting how so few of the fans are athletic. They either can’t throw a baseball at all, or they have no control over it whatsoever. Once in a while though, a fan would come up who you could tell had baseball experience. They would throw the ball fairly hard, and with some control, and the audience would immediately begin cheering. 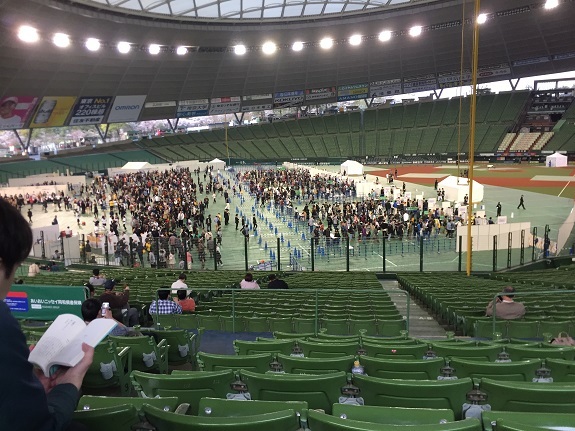 At one point two members came out to the bullpen to help out (one was Furuhata Nao, I couldn’t see who the other one was) and the queue to play suddenly became huge. Matsumura Kaori (Lane 11) So here it was, my last two tickets with Kaotan, someone I had been meeting with for the last seven years. I was trying to figure out what I would say to her. Would I be sentimental, unaffected? It was 15 minutes into the slot before I entered the queue, and she still hadn’t arrived. The line was long, but not huge. That said, it took a good portion of the entire slot to get through the line. I basically entered the lane with my chest thrust out, showing off my new t-shirt. Kaotan immediately began pointing to it, and I told her I just bought it. I also mentioned that I had my first article published in the Japan Times this past Friday. She was like “You wrote the article?” Yes, I did! “Congratulations! I told her I had one last ticket for the final slot. Okay, one last ticket. Would I queue up early? Wait a little bit? I planned on staying for whatever festivities were planned for the end of the slot, so it didn’t really matter. When I saw the queue becoming really big, I entered the line, but not before taking a pic of the ticket for posterity. Oh, it was also around this time that I noticed Okada Miku for the first time. She is really cute, and I like the way she plays with her fans. It’s too bad she’s about to graduate. <second ticket> Okay, so here’s where things suddenly got weird. As I got close to the front of the queue, I suddenly started feeling a bit emotional. That got somewhat broken by the guy in front of me tripping into the partition, LOL. Still, I entered by telling her I was a little sad. “Why?” she asked me, but then she said something to the effect that she had more events. I was like, Yes, I want to see you more in the future. She then started throwing out these events, and dates, but I didn’t really understand the information. “Chris, are you okay?” But at the same time the guard is trying to push me out. Kaotan again asked if I was okay, and I just blurted out “Have a happy wedding.? She was like “Wedding, that was a dokkiri, I’m not getting married. I was like “really, I didn’t know it was a joke!” Meanwhile, the other fans were laughing. I was so confused at this point I just apologized since my time had long been up. A few minutes later a couple of the Kaotan fans came up to me to say “Hey, the wedding thing was a joke, but we initially believed it too” and then told me about some of the individual events she has coming up, one of which is this week. Unfortunately it conflicts with my work schedule. But if she is going to be active around Tokyo, chances are I will be seeing more of her in the near future…hopefully. The fans all got ready for Kaotan come out and make some sort of speech. In fact I waited for over 40 minutes. But when her slot ended she merely waved goodbye and ran off. WTH? In the meantime Mikotti came out and did a big presentation for her fans, then Yunana came out and gave a speech to her fans, and took a bunch of pics along with some her team KII mates. After that Kaotan ran over to us, waved goodbye, and ran off again. The fans all started to break up after that, so I guess we weren’t getting a big final photo-op, at least on this day. Finally Okada Miku along with one other member came out and gave farewell speeches. So that was it, sort of a letdown, although it was cool to be there for the other member fanfare. Needless to say, I have no more SKE tickets at this point since they don’t really have any more Kanto events, unless they do a zenkoku event. But without Kaotan I am really not nearly as enthusiastic about seeing them. We will see how I feel when their next release gets announced. In the meantime, I have tickets for two 48-group events during golden week, should be fun. I also have a Wasamin event tomorrow, should also be fun!